Have you heard of the “Tiny House Movement?” Sparked by environmental concerns, financial worries and a popular documentary on Netflix, the Tiny House Movement is driving more and more people to downsize their square footage. 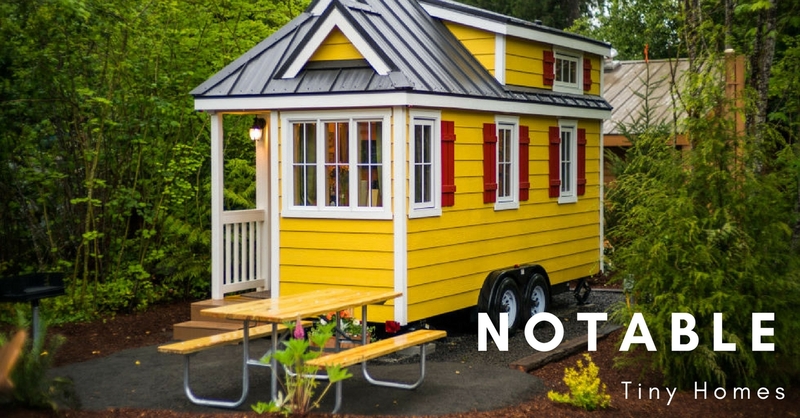 While the average American family lives in a 2,500 square foot home (an almost 873 sq.ft increase since the early 80’s) there are a number of people opting for a much tinier way of living. While many of us might cringe at the thought of living in a space smaller than your average bedroom, tiny home owners seem very content with keeping things small and simple. Like this home for example. With only 75 sq.ft of space, this home manages to offer all the comforts of a traditional home with a full kitchen, bathroom, bedroom loft and dining area. The fact that it is steps from Saint Peters Square in Rome is just an added bonus! This Paris apartment nearly takes the cake as the world’s smallest apartment. You might be looking at the pictures thinking oh what a nice, bright hallway. No, that’s not a nicely decorated hallway that is actually the entire apartment. You see, the designers were a little tricky with this one, using a “Swiss army knife concept” to design this 86 square foot apartment.Where’s the bed? Oh, just tucked away in the top left cupboard. You’ll find the closet, dining room table, and bathroom also tucked away in hidden cupboards. Now the only trick to living here is making sure your sanity stays intact. Rustic and tiny can go together! This cozy and portable house on wheels was built by the owner Brittany Yunker in only 5 months! The home has electricity, a hot water heater and even a mini gas fireplace! How cute is that? The bathrooms open shelving and white walls make it feel much more spacious than it actually is while the kitchens colorful details and light wood paneling create a very welcoming space!